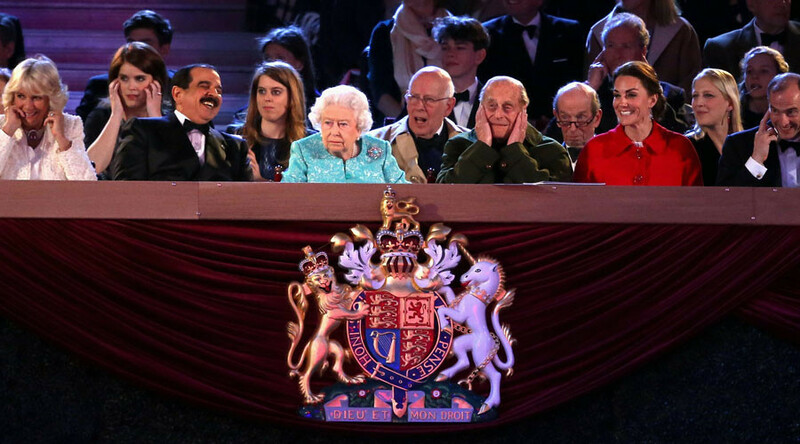 Queen seated next to Bahraini king at birthday bash… because he’s bankrolling UK navy base? The seating of the King of Bahrain, Hamad bin Isa Al Khalifa, next to Queen Elizabeth II at her 90th birthday extravaganza has been condemned by campaigners critical of the Gulf kingdom’s human rights record. The Sunday evening party at Windsor Castle included a parade of 900 horses – 10 for each of the Queen’s years. She watched the performance alongside the Duke of Edinburgh, the Prince of Wales, the Duchess of Cornwall, Prince Harry and the King of Bahrain, Hamad bin Isa Al Khalifa. Bahrain is one of the sponsors of the Royal Windsor Horse Show, but Britain shares more interests with the Gulf island kingdom than equestrian pursuits. It says the kingdom’s human rights climate remains highly problematic – with the imprisonment of peaceful dissenters, torture, disproportionate force used to quell unrest, and restricted freedom of speech. However, King Hamad is far from a stranger to the British royals, with the families developing a close relationship that spans several decades. 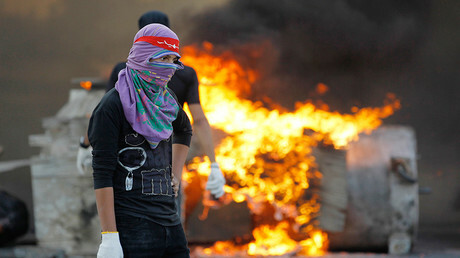 They have continued to develop ties, even in the wake of public criticism over Bahrain’s treatment of protesters during the 2011 Arab Spring. Why would Britain associate itself so closely with such a regime? The British government has every reason to promote this royal friendship. Last year, the UK began constructing a new £15 million ($23 million) Royal Navy facility in Bahrain, which will become the first permanent British military base in the Middle East in over four decades. 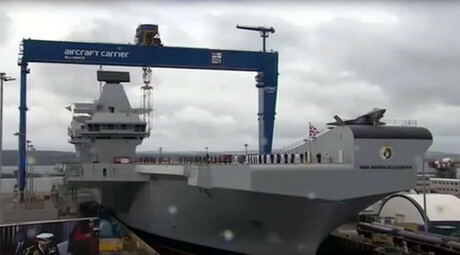 It is mainly funded by the Bahraini royal family and is expected to accommodate Britain’s new Queen Elizabeth-class aircraft carriers and Type 45 destroyers. London has been accused of ‘whitewashing’ Bahrain’s record in the United Nations, having never condemned the country’s human rights abuses. Strategic priorities have no small part to play. H Power, a privately-owned events management company responsible for the delivery of the horse show, said “he was there because he supports the show” but refused to elaborate further.